Sometimes you want your shoes to make a statement, and that statement should always be 'look at my shoes'. 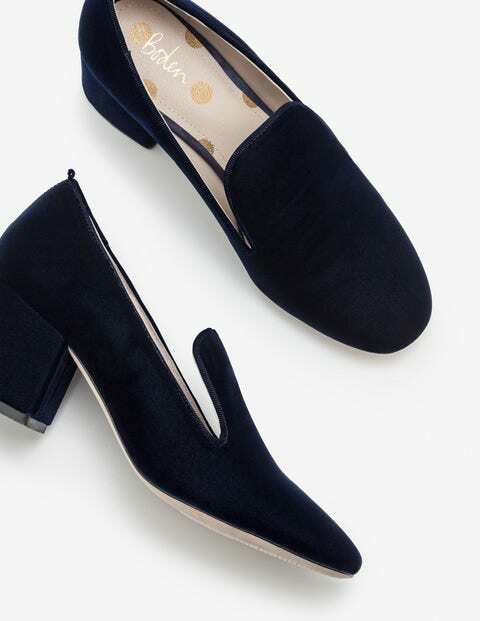 There's a touch of the fairytale about these Italian velvet slippers, with their exaggerated front and midi block heel. But, unlike a fairytale, these beauties can be yours at the click of a button.